Dion and the Belmonts made the doo wop song famous with Teenagers in Love. We could call this segment ‘Nisei-gers in Love’. Was this the clash of the old world Issei tradition versus the new world Canadian way? 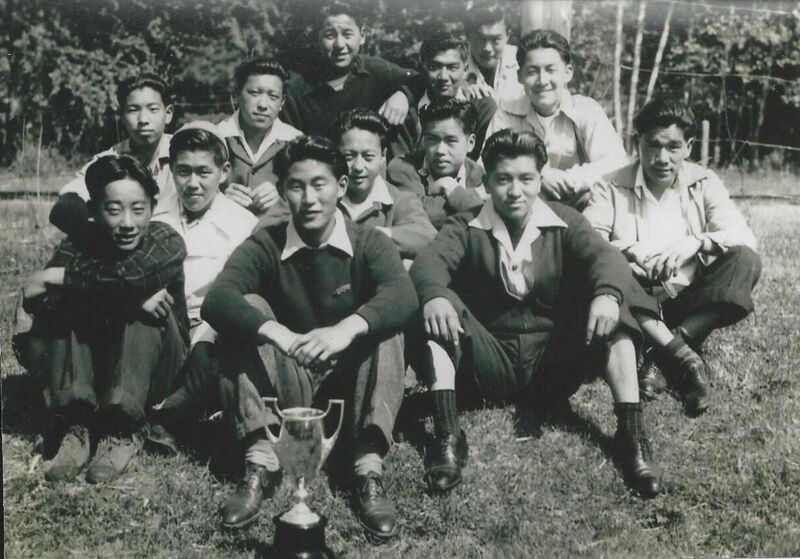 When the first Japanese immigrants came to BC in the late 1800s, most were single men involved in menial occupations. They worked for very low pay and basically had no hopes for promotion. In their spare time they drank and gambled away their savings. Japanese men went to Chinatown to play mah jong. The lottery ticket game that looked similar to Keno was called baka pay. There was very little hope in winning the lottery. Not too far away down Alexander Street was the red light district. Things changed after 1908. In order to have more stability, bachelor men needed wives. The Hayashi-Lemieux Gentlemen Agreement limited Japanese immigration but the loophole was that women were exempt. The ‘Picture Bride’ phenomenon was soon underway. Of course, my imagination may run wild. Yet, there could be a little bit of truth in my speculation to this scenario. 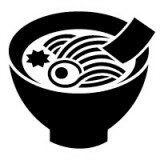 It was not in old Japanese culture and tradition that a man needed to take his date to a katsudo sashin (movie). He only needed to send a photo of himself and hoped that the other side of the family approved and allowed the daughter to go abroad to marry this stranger. All one needed was an omiai or a nakodo (middleman) to consummate the marriage. There could have been several scenarios that played out when the ladies got off the ship. When I saw the prospective women in the photo, they all had the same hairstyle, not a beehive doo but more like a nest where an eagle could lay eggs! There were many stories passed down to a point where they have become legendary. A man of forty-two would ask a handsome young man for his photo and send it away. The young bride-to-be is expecting this good-looking dude, but to her shock she sees this ‘old’ man! I have heard stories that this one lady rowed across the river to marry another person. Another lady picked any young man out of the crowd just so that she could avoid marrying this homely man who was selected by her family. On the flip side, men didn’t know the background of their prospective brides. Some of the ladies could have been a bar hostess or one of her family members could have a criminal record, so she had little chance of getting married in Japan. As for the immigrant farmers, beauty was not mandatory as long as she had strong daikon ashi (white-radish legs) to hoe and pick weeds. Some men took photos standing in front of a car or a beautiful house to make them more desirable. Poor ladies who fell for this trick! Some ended up in the far north like the Nass Valley in cannery houses or a shed behind the farm owner’s house. ‘Dem’ were the days. 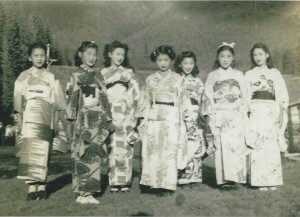 From 1910 to about 1915, the early Nisei children followed the tradition of their parents. The boys worked hard in the field or in the mill to help out the family. The girls were taught sewing and cooking. Most of the marriages were arranged, just like their parents. Some of the children were sent back to Japan for education and thus became Kika-Nisei or Kibei when they returned. “Boys will be boys” is an old saying. Whenever a guy was lucky to have a girlfriend, other boys would become very curious and quiz the poor fella with many silly questions. It’s as if they have never left the Asahi ball game. One might ask, “Did you reach first base with her?” “Did you strike out?” Very seldom did I hear anyone saying he hit a home run, especially on the first date. No one wanted to go there in order to save the girl’s reputation. I heard the word ‘safe’ from time to time, but it was en Francais. If girls changed partners too many times, they were called ‘tramp or floozy’. 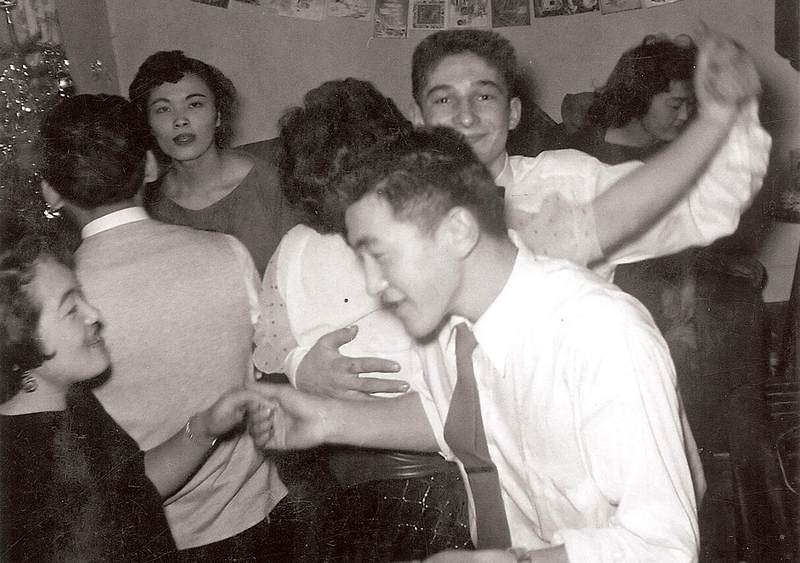 In the 1950s, Nisei teenagers were given more freedom. Parents had more means to buy a car or to own a house. Once they were allowed back to the coast, teens had to re-start their lives by re-connecting with old friends from school. 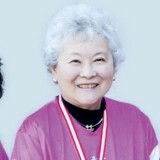 My cousin, Yvonne Wakabayashi, told me that much of the socializing took place at institutions like the high school, Japanese Language School, university, and the Chinese Social Club. 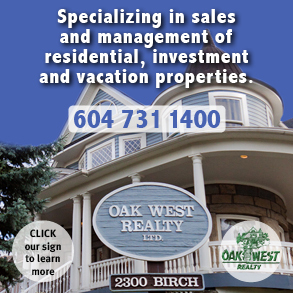 They went in groups to have wiener roast at Jericho Beach, house parties, movies, drive-ins and lot of dances. Yvonne told me that this was a great way to meet boys from the Fraser Valley, students from small towns attending UBC, or her brothers would bring friends over to the house. One danger with the latter was that if she broke up with her brother’s friend, brother was minus a tomodachi. 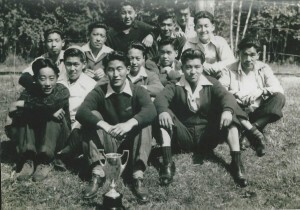 Picking berries in the Fraser Valley or working in the canneries gave Nisei youths more chance to meet people their own age. This was still a time when Asians had their own social activities like the Nisei Bowling League at the Commodore. My sister, Lurana, told me that when they went to Vancouver, there were many dance halls back then. There were the Arlington, Hastings Auditorium and the Commodore. 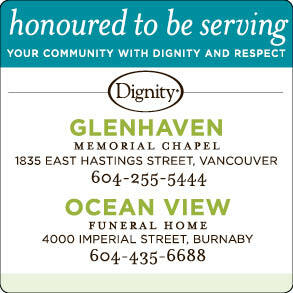 Arlington was located on Broadway near where Denny’s Restaurant is located and Hastings Auditorium was on East Hastings near Clark Drive. There was a Commodore Night Club that held many banquets and dances. Of course, the Nisei had their own bowling league there. 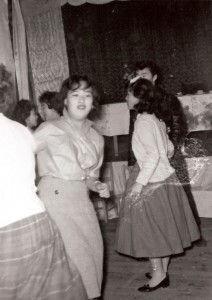 Lurana thinks that a Nisei church group organized these dances. 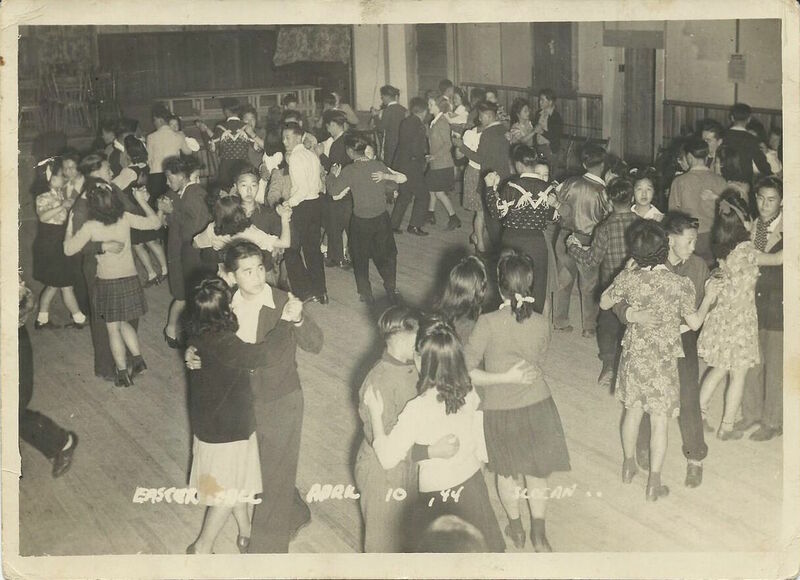 In Greenwood, young Nisei congregated at Masonic Hall for dances with the local band, The Starlighters. 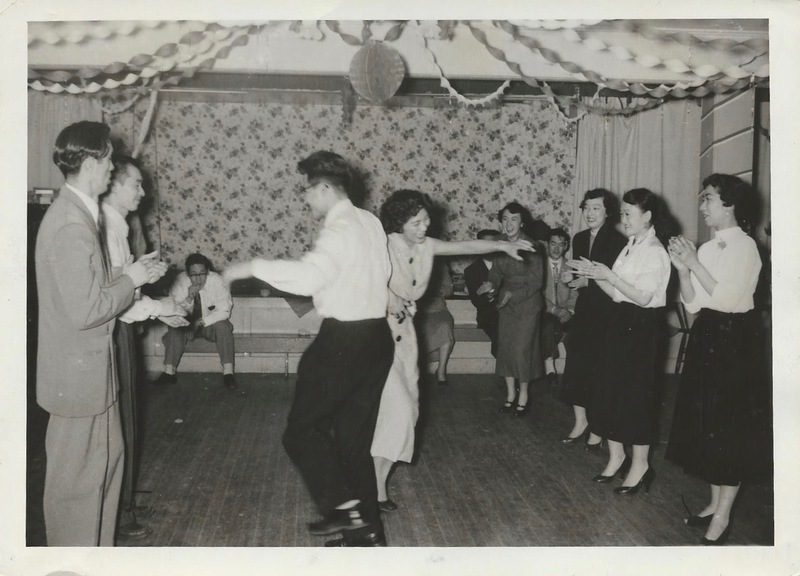 As well, they travelled to Rock Creek Community Hall and to Christina Lake Dance Hall. At Christina Lake, it was a good way to check out new boys or girls because most were tourists from out of town. 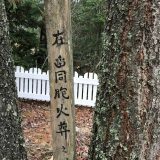 I am hoping that younger Nikkei generation will get a sense of what their grandparents’ lives looked and felt like back in those days, lot of gaman, or perseverance. Yet, it was a much simpler time in some ways that the Nisei folks wouldn’t take back. There’s more freedom and flexibility today for the younger generation that Nisei elders would be envious of. The Romeo and Juliet scene wouldn’t have played out so many times. 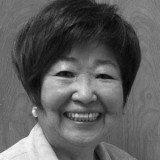 In the end though, Nisei parents did a wonderful job of raising their children.